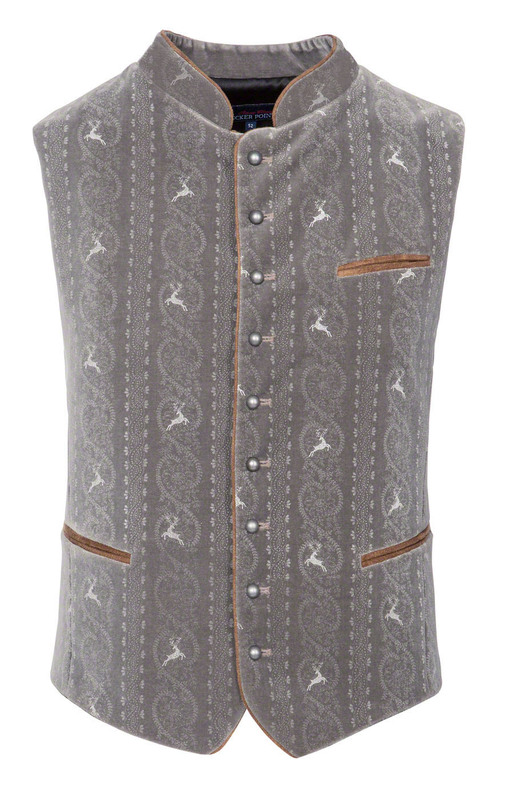 Stone Grey Printed Waistcoat. 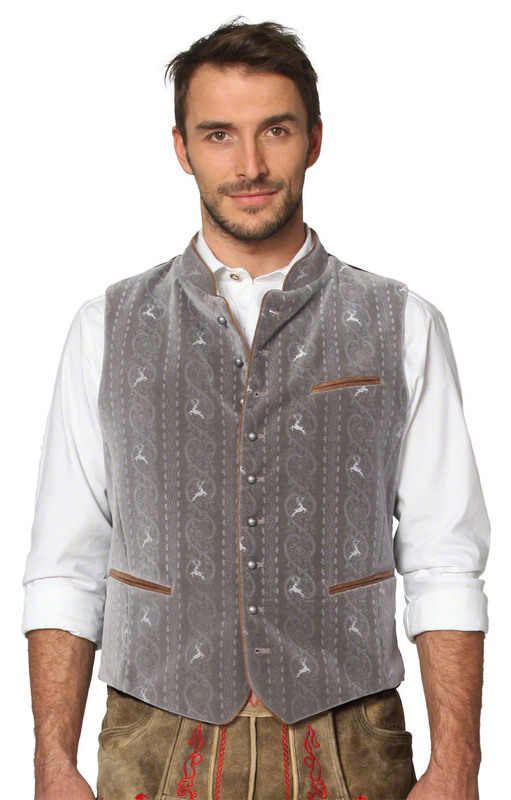 In soft grey printed cotton with a polyester lining, this smart button-up waistcoat will provide the perfect finish to a traditional outfit. 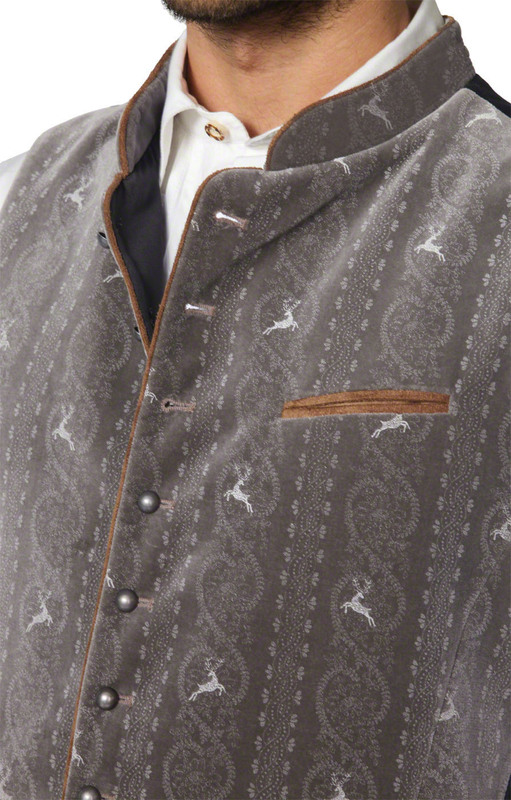 The discreet print on the front and collar features an embroidered pattern effect and tiny leaping stags. 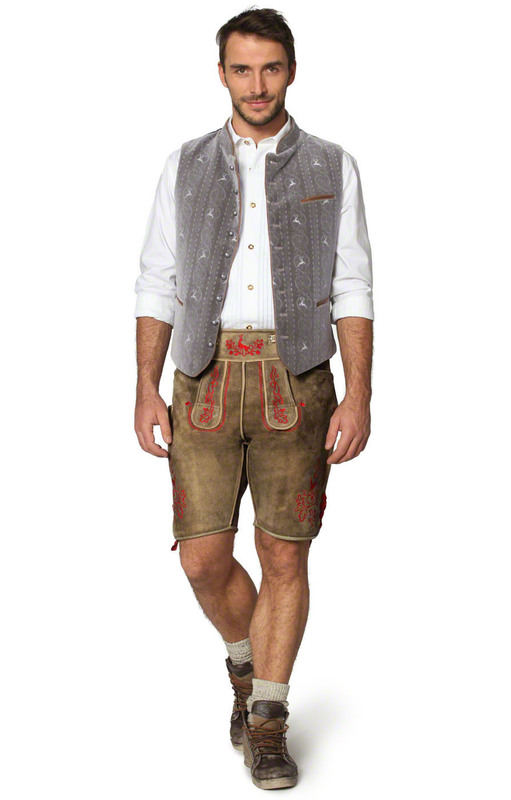 The edges, stand-up collar and three inset pockets are finished with a sueded trim. 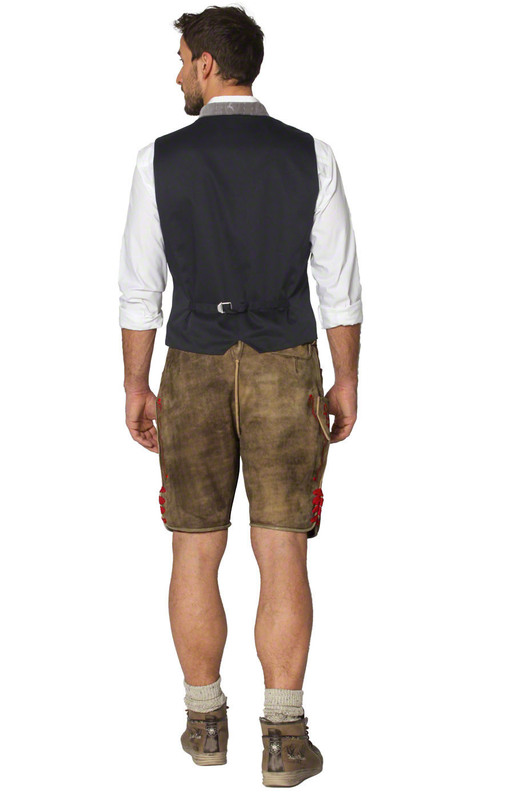 The waistcoat fastens with nine self-coloured buttons but could also be worn open. A buckled strap at the back allows for adjustable fit. 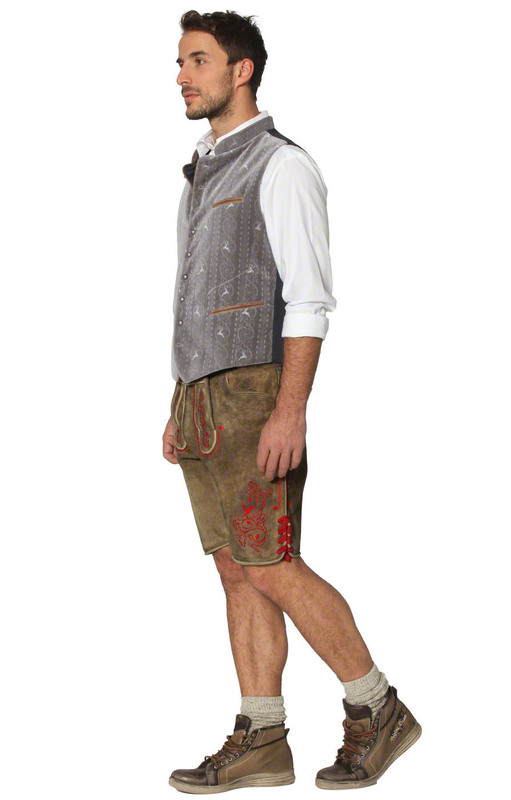 If you are looking for an effect that is both traditional and understated, this waistcoat is perfect for you. Habe die Trachtenweste für meinen Mann als Geburtstagsgeschenk gekauf. Sehr zufrieden. Alles super. Sehr schnelle Lieferung. Guter Schnitt, gutes Material. Ich gebe hier gern eine Empfehlung weiter!